It seems we photographers are very taken with telling stories. So here is a little of mine. 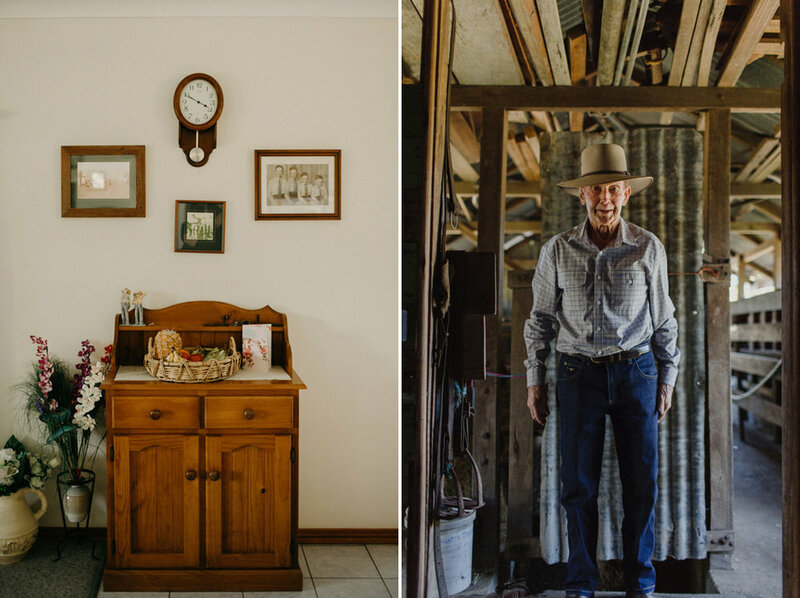 My mother grew up on a cattle station in the middle of Australia. My fondest memories of my childhood are there. Feet in red dirt, sitting in the middle of a dry river bed, collecting seashells from where an inland sea once lay. One of my saddest regrets is I don't have more photographs of that place and time in my life. Meg asked me to go to Gentle Annie and photograph a place that meant to her and her family, what ours did to us. It's an afternoon I won't forget. So many stories of the kind of life on the land that doesn't look like it once did anymore. Jackson and Eunice, from a time when life was far more simple and love lasted a lifetime.